Luxury skincare, is without a doubt, one of my greatest pleasures. High quality antioxidant rich anti-aging formulas that boast great efficacy, the best ingredients available and that utilize cutting edge technology always capture my attention. However, in order to keep me captive they must also have divine textures that are a great pleasure to use. Part of the ritual of luxury skincare is that it must not only deliver on its promises, but must likewise feel ultra luxe. One of my newest luxury skincare discoveries that is both ultra high quality and a tremendous pleasure to use is Bellatorra, which also happens to have recently launched at Barneys New York. 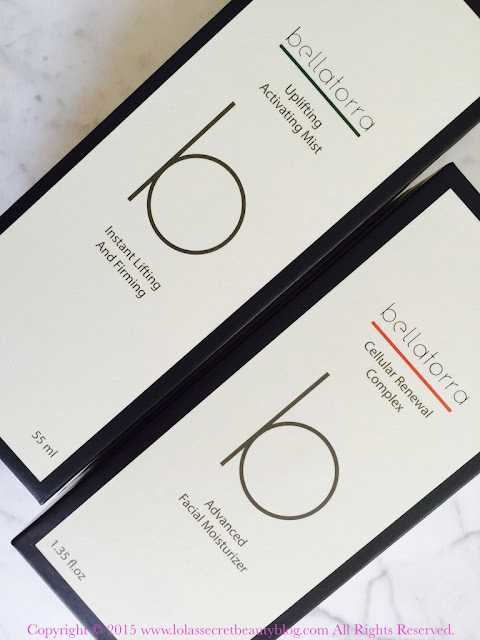 Bellatorra Skin Care was born out of Nathan Halsey's continued passion for health and wellness. Having collaborated with a team of scientists, physiologists, and chemists, Nathan developed a collection of performance enhancing formulas and supplements, later discovering the benefits of intense nutraceuticals in anti-aging skin care. Developed with powerful ingredients that are concentrated, and released in harmony with the skin's natural rhythm, Bellatorra targets the causes of accelerated aging and their visible effects. This thoughtfully executed line features a beautifully curated selection of seven products, of which I will be featuring two. That the packaging is luxurious and elegant is obvious from the moment that you handle the elegant triangular shaped minimalist glass vessels that contain their stupendous formulas. Even the thick and luxurious box, in which it is housed, is of the highest quality. However, it is really the contents that dazzle and amaze. 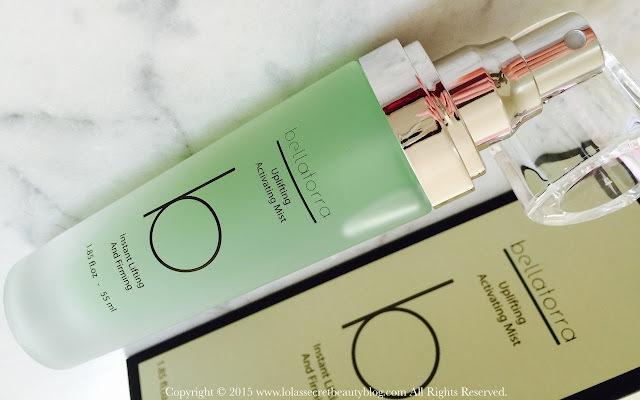 Initially, I was going to review their Uplifting Mist and Cellular Renewal Complex separately, but the discovery that they paired so perfectly made it clear to me that they should treated as the perfect pair. I should note that I am currently testing their Cellular Renewal Serum, and have concluded that this line is so exceptional that I need to try the remaining four products (an eye cream, a face cream, a cleanser and a mask). Truthfully, it isn't often that a brand new line so thoroughly impresses me that I want to try everything that they make. This is definitely a line that needs to be on your radar. 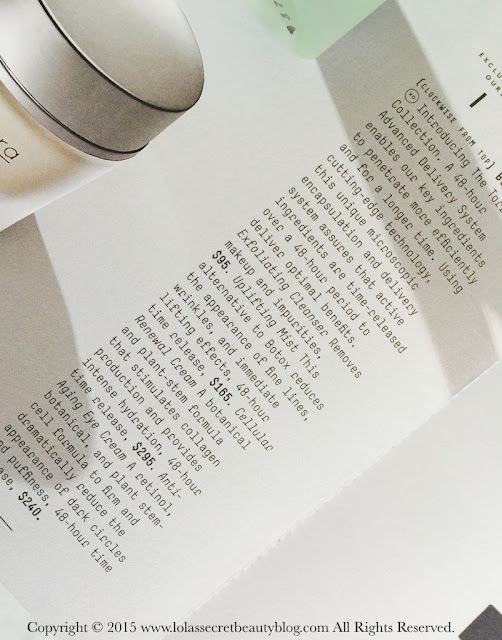 Cellular Renewal Complex is a thick, but lightweight, fast-absorbing and non-greasy cream that is neither too thick, nor too watery. It dispenses through its pump without any difficulty, and a single pump provides enough cream for my face, neck and décolleté. The velvety smooth textured cream melts into the skin quickly and leaves skin soft, supple and ultra-hydrated. Furthermore, I immediately noted that my skin was more radiant, fine lines were plumped and my complexion appeared lifted and firmed. Over the period of a month, I noted that my skin tone appeared more even, and that a few spots of hyperpigmentation had faded. It has a light and delectable scent that seems to a combination of the Olive Leaf and Prickly Pear Extracts, but it is neither overpowering nor in the least bit cloying, and therefore should pose no problems for those among you with sensitivities to aromatic skincare products. While Cellular Renewal Complex is formulated for normal to combination skin, it is so deeply moisturizing that drier skin types will benefit from the formula as well. Ideal for normal to combination skin. This targeted and time-released, botanical and plant stem cell formula reduces fine lines and wrinkles, accelerates skin’s natural repair functions, and protects from environmental damage while targeting discoloration, uneven tone and preventing the appearance of future damage at the cellular level. Rich in antioxidants, polysaccharides, minerals and vitamins. 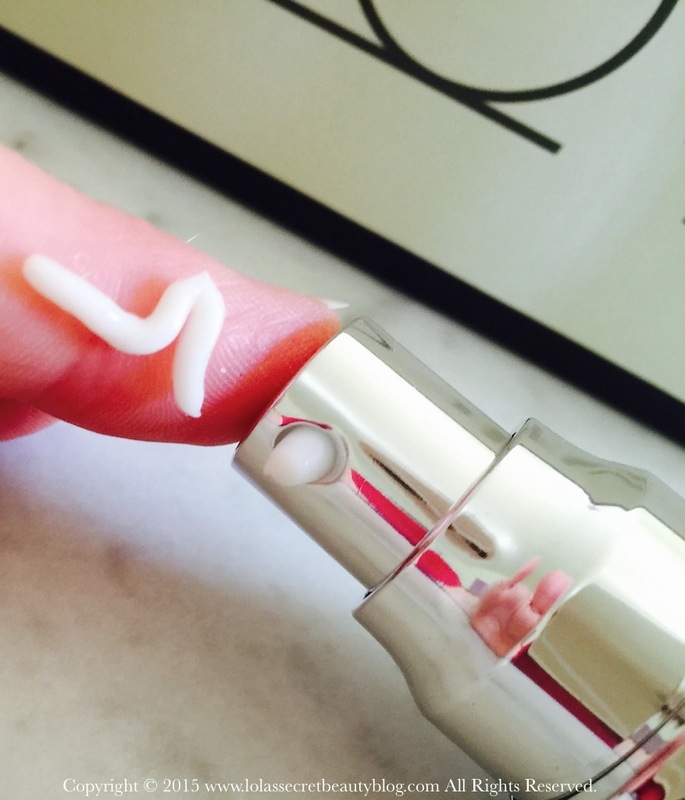 This is truly a multi-dimensional anti-aging moisturizer. Olucanza Bellaspheres- Proprietary Complex of Olive Leaf Extract, Prickly Pear Extract, Zinc PCA & Vitamin C to increase skin firmness, reduce lines and wrinkles, prevent environmental damage, correct uneven pigmentation, prevent formation of melanin, hydrate, protect and soothe. Torra48 – Forty-eight hour Advanced Delivery System. Ideal for normal to combination skin. Directions: Apply evenly over cleansed face and throat, avoiding eye area. Uplifting Mist is a facial mist like no other, and on its own it boasts tremendous efficacy, but when used in conjunction with the Cellular Renewal Complex it is an antioxidant rich anti-aging force to be reckoned with. Described as a Botox alternative, Uplifting Mist deeply moisturizes the skin while simultaneously calming, smoothing, refreshing, energizing, lifting and firming it. Skin is left silky soft, smooth, supple and dewy. I like to spritz it on before the Cellular Renewal Complex has fully absorbed so that they sink into my skin simultaneously– the end result is glowing, healthy skin. The aroma is refreshingly crisp green that smells a bit like a fusion of Green Tea, Aloe Vera and Olive Leaf Extract, and it is utterly delectable. This alternative to Botox contains natural ingredients that reduce the appearance of fine lines and wrinkles, providing immediate lifting effects. In addition to its restorative benefits, this mist also protects from free radical damage and soothes irritated skin, revealing a younger, fresher and smoother complexion. Malacella Bellaspheres– Proprietary Complex of Acmella Oleracea Extract and Malachite Extract lifts, tightens, reduces muscle tension and wrinkles, combats daily stresses, calms, soothes and protects against free-radicals to prevent future damage. Directions: After cleansing and applying your Bellatorra moisturizer, hold bottle approximately 6 inches from the face, close eyes and spray over face. Use morning and evening as desired throughout the day. May be applied over makeup. Ingredients: Water, Hydroxyethyl Urea, Peg-12 Glyceryl Dimyristate, polysorbate60/"Polysorbate 60, Malakite Extract, Sodium Hyaluronate, Phospholipids, Proline, Glycerin, Malus Domestica Fruit Cell Culture Extract, Acmella Oleracea Extract, Malachite Extract, Rhodochrosite Extract, Olea Europaea (Olive) Leaf Extract, Hematite Extract, Retinyl Palmitate, Tocopherol, Ascorbyl Palmitate, Ascorbyl Glucoside, Zinc Pca, Beta-Carotene, Caffeine, Sodium PCA, Allantoin, Panthenol, Sodium Lactate, Sorbitol, Alcohol, Saccharomyces Silicone Ferment, Saccharomyces Magnesium Ferment, Saccharomyces Copper Ferment, Saccharomyces Iron Ferment, Saccharomyces Zinc Ferment, Xanthan Gum, Disodium EDTA, Phenoxyethanol, Ethylhexylglycerin, Fragrance. Overall Assessment: I am thoroughly impressed by Bellatorra, and need to try more of their products because they are that exquisite. While their products are expensive, they really are worth the expense because they are highly effective and such a tremendous pleasure to use. Furthermore, their products are highly concentrated– therefore a little goes a long way. Uplifting Mist $165.00 for 1.85 oz. from Bellatorra and Barneys New York. Cellular Renewal Complex $295.00 for 1.7 oz. from Bellatorra and Barneys New York (Affiliate Links). 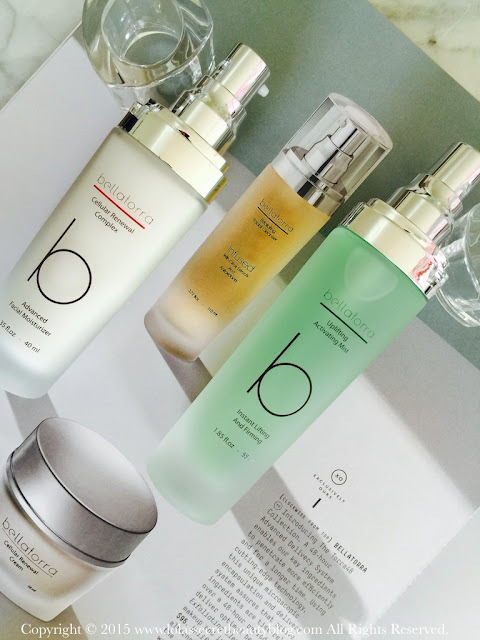 Barneys New York Gift with Purchase: Receive a full size Bellatorra Exfoliating Facial Cleanser (110ml) with any $250 Bellatorra skincare purchase. While supplies last, one per customer. Valid on U.S. orders only. Great review! 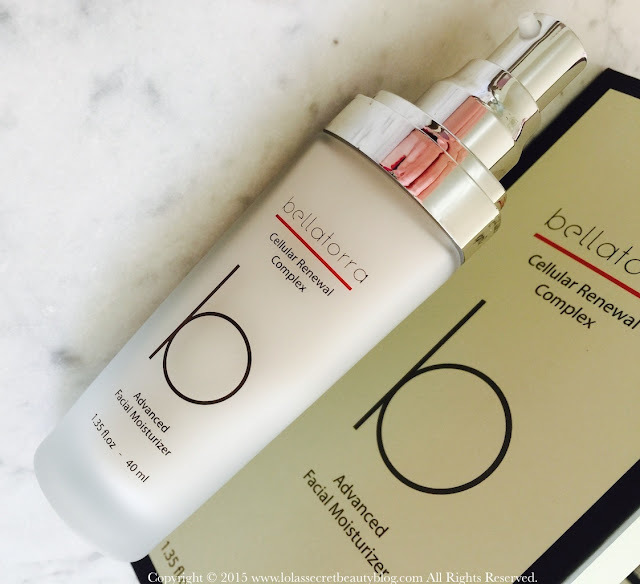 I haven't tried the Mist, but the Bellatora Moisturizer is my absolute favorite! Amazing how lightweight yet hydrating it is. I'm trying out the serum now as well, and I love it. I also would love to try the rest of the product line. Thank you, Allison! The moisturizer is incredible, and I'm not in the least bit surprised that it works so well on your dry skin. The serum is incredible, I agree! You and me both! I want to try everything they make! I definitely want to try both of these! Hey, LA girl! Welcome! You definitely should try these, they are WONDERFUL! I saw the moisturizer reviewed on Allison's site and you 2 both gave it glowing reviews! That mist also sounds incredible and so refreshing! Yes, I read Allison's excellent review as well, and I agree with her that it is such an excellent product. IT's interesting that it worked so well on her dry skin and on my combination skin! The mist is absolutely lovely as well– they are really doing a great job! I am such a sucker for high end skin care too, I believe it's so worth the investment! These two products sound wonderful. I've got to check them out! I agree that it is definitely worthwhile to invest in high end/ high quality skincare. 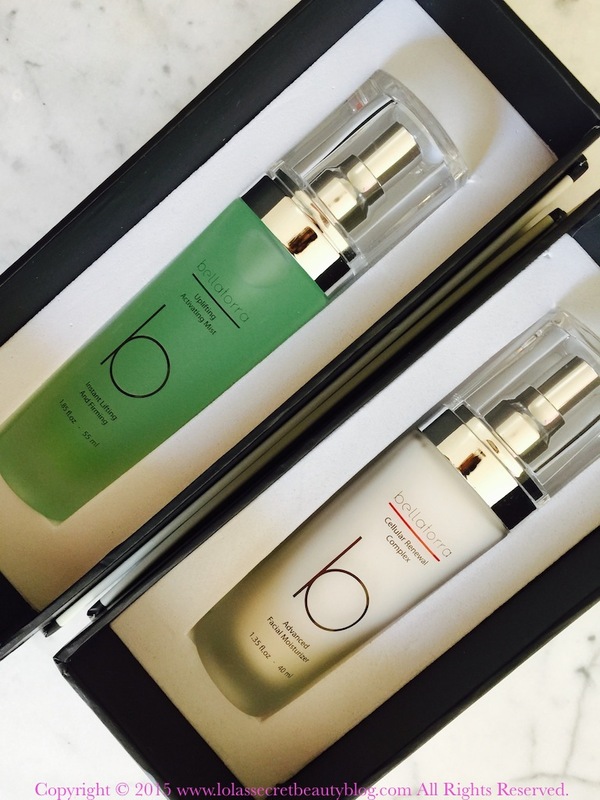 These two products are fantastic, and so is their serum. I imagine that the rest of the line is wonderful, and definitely want to try it! Those bottles look so gorgeous! The Cellular Renewal Complex sounds divine. Anything that fades hyperpigmentation quickly is a godsend! I agree, the bottles are absolutely gorgeous! Yes, it's a wonderful moisturizer, and it definitely helps fade hyperpigmentation. Oh, these sound lovely. Your reviews always make me want to rush out, damn the consequences and buy all of the things! That is such a kind thing to say! Thank you, Erika! These are definitely lovely, and I am now obsessively wanting to try the rest of the line! LOL! Wow these sound amazing, such a great and thorough review! I need more money so I can try all of the skincare! Thanks, I'm so glad that you found my review helpful! Yeah, no kidding! I love it when a product lasts a long time. I like the packaging too! It's an amazing line, or at least the 3 products that I have tried have been most impressive! The packaging is really nice! These sound perfect for you. There's nothing so satisfying as finding a wonderful skincare line. They are really high quality products, and I am very impressed by the line, so far! I love finding new skincare products that are really fantastic! You had me at botox in a bottle. I was just telling someone that I'm thinking about getting botox on the line in the middle of my forehead. Well, this isn't as radical as Botox, but it is a really effective product! I'm pretty much sold on the moisturizer and mist! They are both really wonderful products! The smell is so yummy, too! They both sound exceptional, but the mist is calling me. I'm a sucker for a good mist. I hadn't heard of Bellatorra before. Thanks for the review!